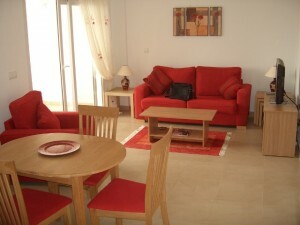 Welcome to Platinum Holiday Rentals - the perfect place to begin your search for a rental property in Spain. Platinum Holiday Rentals specialises in exclusive luxury Golf resort properties located in Murcia (Costa Calida), Spain - whether you are looking for an apartment, townhouse or a large luxury villa, we have a full portfolio of stunning, modern and spacious properties available for you to come and relax on your break away. Not only do we cover some of Murcia's and the Costa Blanca's finest exclusive resorts (Peraleja Golf, Las Colinas Golf, Roda Golf ) but also four of Polaris World's most famous and decorated golf resorts in El Valle, La Torre, Hacienda Riquelme and of course ... Mar Menor. Golf Holidays is not just what we offer, being ideally situated just ten minutes drive away from the blue flag award winning beaches of the Costa Calida, just moments away from some historic sights and not far from one of the largest shopping centres in Europe, there is plenty on offer for all of the family to enjoy, with the added bonus of the Spanish climate! You will enjoy yourself so much that you won't want to leave! Numerous five star golfing resorts that you can play from the moment you get up! Relax on your holiday away from the busy costas! Situated close to two international airports of Alicante and Murcia, only a short drive away from the coast, near some of the best shopping centres in the region and typical Spanish towns and villages. Our aim is to deliver a high standard of service, making Platinum Holiday Rentals the natural choice for your next holiday. Why rent a luxury self catering property? More space, privacy and comfort than a hotel. Much better value, spend less get more. Enjoy all your home comforts. Why choose Platinum Holiday Rentals? We know our properties as we property manage all of them. We do ordinary things extraordinary well. Platinum is also able to offer you the highest quality exclusive and luxury golf resort properties for sale in the Spanish region of Murcia (Costa Calida). If you are looking for a bespoke designed property, designed to your needs and requirements, then look no further than Platinum to help assist you whilst planning and constructing your dream house in Spain. If you are looking to sell your golf resort property in Murcia, please contact us about listing your property on our company website and offering our services to market your property for sale to our clients. The main resorts that we are able to cover are: Peraleja Golf, Roda Golf and beach resort, El Valle Golf, La Torre Golf, Mar Menor Resort and Hacienda Riquelme Golf. 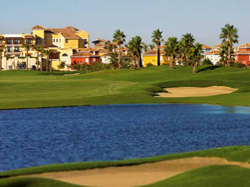 Why not take a look at the Murcia Golf Properties that we have on offer. NEW! We now have access to bank repossessed properties on the Mar Menor Golf Resort ... sign up to receive more information about our bank repossessions on the Mar Menor, Murcia (Costa Calida), Spain.